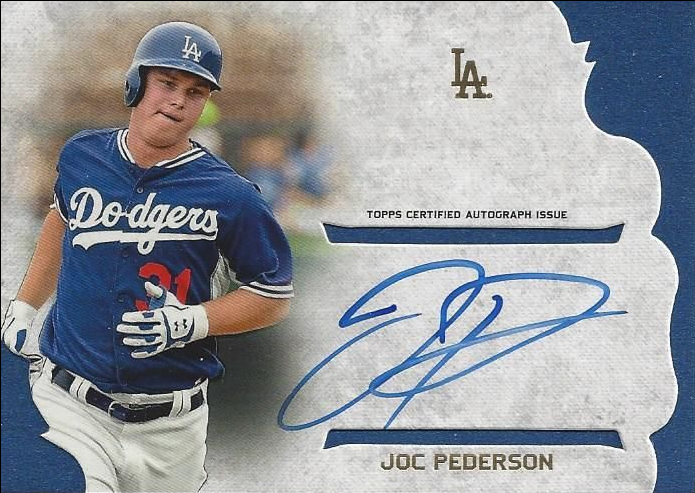 Here is another high-end product currently available at a hobby store near you that promises two autographed cards per box. Heck, those are the only two card you'll get in the box. Prices range from $60 to $70 each, and you'll get a single pack with two autograph cards within it. 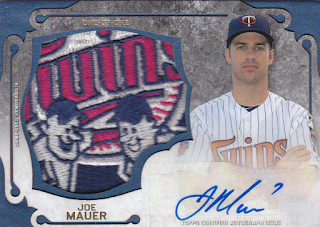 The set is called 2015 Topps Supreme and this is its third year as a brand for Topps. It initially started out as an Asia only release, but proves so popular they had to bring it stateside. Go here to see a complete checklist. Below are pics of most of the Dodger cards available. Of special note, there are several cool looking Mike Piazza cards as a Dodger available; including a booklet card that has die-cut windows that allow you to see the relic piece hidden in the middle. Here is an example of the design of the Primary Pieces Autograph cards below. Unfortunately, a Dodger card has yet to show up.